Independent mortgage banks and mortgage subsidiaries of chartered banks saw their average per-loan profit tumble in the third quarter as volume declined and production costs reached new highs, according to data released Wednesday. Mortgage banks made an average of $743 on each loan originated in the third quarter, according to a report by the Mortgage Bankers Association. That’s down from $1,528 per loan in the second quarter. The drop was due in large part to skyrocketing loan production costs, according to Marina Walsh, MBA’s associate vice president of industry analysis. 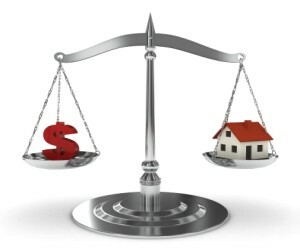 “Historically, mortgage bankers have struggled to control fixed costs and right-size in a declining market, and the increasing costs of compliance and quality control only exacerbate an already difficult situation,” Walsh said. Total loan production expenses – including commissions, compensation, equipment and corporate allocations – averaged $6,368 per loan in the third quarter, up from $5,818 in Q2. Production expenses in the third quarter were the highest recorded since MBA began keeping statistics in 2008. The “net cost to originate” – which includes all production operating expenses and commissions minus all fee income – averaged $4,573 in Q3, up from $4,207 in Q2. The average production profit in basis points was 38 points in Q3, a 37-point drop from Q2’s average production profit of 75 basis points. The third quarter of 2013 was the fourth consecutive quarter profits decreased, according to MBA. Meanwhile, productivity dropped to an average of 2.5 loans originated per employee per month, down from 2.9 in the second quarter.